How to register a snowmobile "Buran"
How to install ignition on a snowmobile "Buran"
If you were offered at bargain price, buy snowmobile "Buran", ask if there are any documents on it. If you don't have a passport, you will face a number of difficulties during registration. - receipt of payment of the relevant fees. Complete training in the RTN and will receive a certificate of the tractor operator-the machinist of a category "A". This will allow you to legally drive off-road and self-propelled equipment. Without such certification the snowmobile does not register. Gather the necessary documents and pay the stamp duty. Check the snowmobileand must occur within five days from the date of purchase. The competent authority is the STS. Contact the Department at their place of residence. On the snowmobile, you also require the filing of an insurance policy. You must obtain a certificate of state registration, pass inspection, and rooms. Get a duplicate passport for the snowmobile, if it is lost or inoperable. Documents for unregistered equipment produced after 1995, issued by manufacturers, and imported to Russia after September 1, 2001 the customs authorities. In other cases, should contact the STS at the place of registration. Present the car for inspection and verification of numbers of units. Officials may deny registration if no documents of title or discovered a discrepancy of numbers. 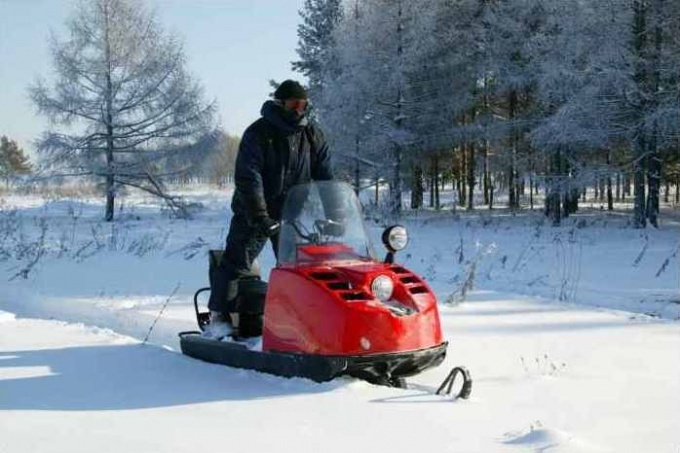 Apply to Rostekhnadzor for registration of a snowmobileand released prior to September 1995 please Attach contract of purchase and sale with another private individual, a copy of his passport and pay the state fee. The snowmobile will check the database of stolen equipment. After that you have to get a passport on a self-propelled machine. Try to obtain a passport on a snowmobile, self-assembled from parts of other machinery or fixed design change. The design of such structures is governed by the Rules of the state registration of tractors, self-propelled road-building and other machines and trailers from 16 January 1995 Approved these rules in the Ministry of agriculture and food of the Russian Federation. Contact the court if you encounter problems with registration. The court may establish a right of ownership. For this, you may need an independent evaluation.